BPC has announced a £500k investment project to upgrade and expand its Wakefield warehouse and manufacturing facility, creating up to 10 jobs in the process. The project is part funded by a Leeds City Region Enterprise Partnership (LEP) grant of £80,000, and is due to be completed by 1st February 2017. BPC Building Products will start work in December 2016 on Flanshaw Way, Wakefield, with the installation of a new high speed production line. This will be followed by upgrading two of the company’s five existing lines in early 2017, increasing output to 130 components per minute on each line, complete with automated barcode application equipment. It is expected that the investment will create up to 10 jobs within the production and warehousing areas of the company. The investment follows on from significant growth at BPC Building Products, with 170 per cent increase in turnover over the last 5 years. Once complete, the investment project will enable the company to further increase its market share in both the UK and European construction markets. BPC Building Products’ existing merchant customer base across the UK will benefit from the investment through continuation of market leading service, excellent value and highest quality products. BPC Building Products, which celebrates its 40th Anniversary next year, holds over one-million components in stock at its Wakefield warehouse, backed up by outstanding technical expertise. The company offers a wide range of timber-to-timber and timber-to-masonry connectors, through to fence post anchors and other essential trade and DIY fixings. The company’s advanced, high-speed production lines ensure optimum efficiency and consistent high levels of quality. The majority of BPC’s products are manufactured in Wakefield, West Yorkshire, and have the back up of an ISO 9001 approved quality control system. The LEP provides a range of support to growing businesses including grants of up to £250,000, help to recruit apprentices, advice and up to 50 per cent funding to train their workforce and assistance to improve their use of technology. To find out more about how the LEP can help growing SMEs, visit: http://www.the-lep.com/for-business/ or call 0113 348 1818. There’s no better way to make purchasing decisions for your company than to see the product first-hand and talk face-to-face with a knowledgeable supplier. Networking opportunities with colleagues involved in design, manufacturing, application engineering, and gear buying and manufacturing. How do I fix a masonry crack? 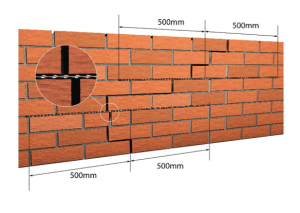 Here Gareth Simister, Managing Director at BPC Building Products, looks at how mechanical stitching systems provide a cost effective and permanent method of repairing cracked masonry walls, avoiding the expense of a complete rebuild. Until relatively recently a commonly used method to repair masonry cracks was to place mortar or grout without any other support directly into the fissure. Sealant was sometimes used as well and again injected into the crack before sand was applied on to the top of the uncured sealant to give it the appearance of mortar. Typically, these methods proved unreliable over the long term as the mortar, grout or sealant didn’t accommodate for any further movement across the crack – principally because it was not mechanically supported. Cracks that require some opening up and can be patched. Extensive damage which requires replacing sections of walls. Structural damage that requires partial or complete rebuilding. All these masonry cracks can occur for a number of reasons. One of the most common causes is ground movement, due to settlement of new foundations. Changes beneath the foundations of any building can cause it to move slightly which can result in cracks developing. Other common causes include temperature influence, damp, wind loads, fractured masonry, lack of foundation, lowering of ground water, imbalanced building grounds, road traffic vibration, air traffic, damaged drains and proximity of trees to the building. Latest methods of remediating masonry cracks involve mechanically stitching the area, combined with a special grout that locks everything in place. A great example of this is PowaTwist™, which consists of stainless steel bars and a special grout. The stainless steel helical-design of the bars used with these kinds of systems provides greater effectiveness in tackling cracks because it distributes the load over the entire length, avoiding load and tension concentrations. When choosing a stitching system like this it’s always worth making sure that the bars are made from stainless steel as that means they are suitable for aggressive environments. The grout can be injected with an applicator gun and completely fills all voids before rapidly developing its compressive strength. The best way of stabilising cracked masonry is to use a mechanical stitching system because it redistributes tensile loads along the masonry. This eliminates further development of the crack which may occur if a simple injection system is used. So, if you want to get on top of masonry cracks and avoid a complete rebuild, it’s worth looking at crack stitching systems. Author richard@bpcfixings.comPosted on 9th August 2016 9th March 2017 Categories BlogLeave a comment on How do I fix a masonry crack? BPC has launched a new range of remedial masonry repair products. The PowaTwist™ helical product range is now in stock, including stainless steel repair bars, grout and boxed repair kits. PowaTwist™ is a cost effective system designed to provide excellent bonding characteristics when reconnecting cracked masonry. A fast, economical method of permanent repair, minimising the likelihood of further cracking and eliminating the need to rebuild. There is nothing more satisfying than creating a garden fence that is strong, sturdy and which looks good. So, if your existing fence is looking a bit worse for wear, held up by bits of string or propped with timber, or you simply need a new fence, then here’s how to sort it out once and for all. Before beginning your fencing project it is always best to plan in advance and source from a supplier that is going to make the job easier for you. A good starting point, and one that avoids the expense and hassle of a concrete base, is using Drive-in Post Spikes. Aside from avoiding the cost and hard work of creating a concrete base, they make the erection of fencing as well as gazebos, pergolas and other garden structures quick and easy. 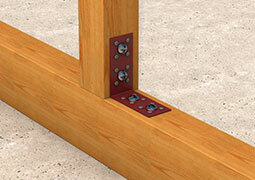 There is a great range of post spikes called PowaPost® – they give you a really strong anchorage for timber posts. When it comes to post spikes it’s definitely worth choosing quality because if you don’t they soon start to rust and look unsightly. A sure sign that it is a good quality drive-in fence post spike is when it’s manufactured from heavy duty mild steel with dual coated corrosion protection. A good quality steel post spike should be electro zinc plated and then have a moisture resistant powder coating, which results in a superior protection against rust. Hot Dipped Galvanised post supports are also available for an extra durable finish. The great thing about drive-in post spikes is that they can be used in a wide variety of ground types. For instance, if you have stony ground, such as old, broken foundations, a steel fence spike is a really effective way of establishing a strong support for timber posts. Try and drive a timber stake through this kind of ground with a large hammer and you’ll soon splinter it beyond use. Digging a hole isn’t really an option, either, as it can be hard work and you end up with a large hole requiring lots of concrete! Once in the ground, metal post spikes protect the timber from water, fungal attack and insect damage. That means your fence will last longer. Where post spikes aren’t used, the timber section of the post below ground level tends to rot quickly, especially if the soil is wet, causing them to break off eventually. Good quality steel knock-in fence post spikes are suitable for most ground conditions. All you have to do is drive them into the ground, which is even easier if you choose a range like PowaPost®, which has a special driving tool. 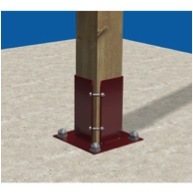 Once you’ve driven-in the metal spikes, the timber posts can be fixed by either twin bolts or EasyGrip design for a strong connection. The EasyGrip design holds the timber post in a tight wedge without the need for fixings, whereas the Twin Bolt arrangement mechanically tightens around the post allowing easy removal of damaged or rotten posts. 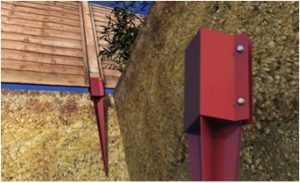 If your fence crosses over an existing hard surface such as a concrete, paving stones or tarmac, there are steel post anchors available with a flat base that can be bolted securely, creating the same effect as driving the post spike into the ground. Take a look at PowaPost® Bolt Down Shoe, which is designed for use when posts are required to be installed on these kinds of hard surfaces. Most drive-in post spikes are available with a range of accessories. So, if you need a repair spike (where an existing timber post has broken) or post extender (allows you to easily add decorative panels and trellis), check that your supplier offers it as part of the range before ordering. Before beginning any work on boundary fences, it’s worth checking who owns it (if there is an existing dilapidated fence, the general rule is if the posts are on your side of the boundary, the fence is yours). However, it is best to check your deeds first or have a friendly chat with your neighbours before you start any work! When it comes to choosing the fencing material there are a number of different types. The most readily available are larch shiplap panels, which are available (along with the Powapost® range) from your local builders merchants and many online tool and fixings retailers. Other types of fence materials include hazel or willow hurdles, shiplap cedar and trellising. The golden rule is; Fences can take up a lot of space in the garden and block our light, so it is worth spending time planning exactly what you want from it – before you begin! 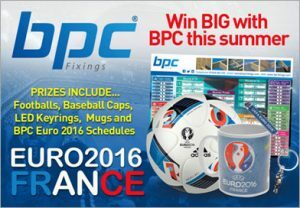 BPC Fixings, manufacturer of high quality building, fencing and DIY components, has announced that it is offering entrants an opportunity to win official merchandise for Euro 2016*. Beginning today, contestants can enter simply by liking BPC’s Facebook page, or by visiting this link. Winners are then selected in a weekly prize draw. The official merchandise up for grabs includes Euro 2016 footballs, mugs, LED lights and baseball caps. In the run up to the Euro 2016, which starts on 10thJune with France v Romania, BPC will also be giving away a large sweepstake poster that lists group A – F matches, round of 16, quarter and semi-finals, through to the final. BPC will be offering five each of the official merchandise, meaning entrants have more chances to win. The draw will run up to the finals of Euro 2016, which are being held on 10th July at Stade de France, Saint-Denis. All winners will be selected through a random prize drawing process and notified by email on that day. Winners will also be announced on BPCs social media channels. The lucky participants of the prize draw aren’t the only BPC winners this summer. All customers that source from BPC will, as they always have done since the company was formed nearly 40 years ago, receive some extra ordinary deals on quality, value and service. BPC Fixings and Powapost® hold over one-million components in stock, backed up by unbeatable technical expertise. From a huge range of timber-to-timber and timber-to-masonry applications, through to fence post anchors and other essential garden ranges, BPC has a product that does the job. The company’s advanced, high-speed production lines ensure optimum efficiency and consistent high levels of quality. Many of the products are manufactured in Wakefield, Yorkshire, and have the back up of an ISO 9001 approved quality control system. 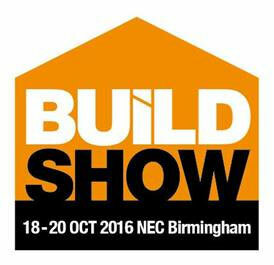 BPC Building Products Limited is a UK manufacturer of high quality galvanised and stainless steel building, fencing and DIY components. 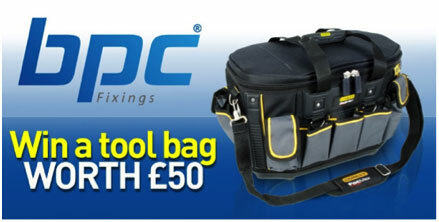 Win a £50 Stanley Tool Bag with BPC Fixings! BPC Fixings, manufacturer of quality construction and DIY products, is offering one lucky customer the chance to win a Stanley Fatmax Round Top Tool Bag worth £50! The high volume, sturdy tool bag is made from durable materials and measures 500 x 330 x 310mm. Complete with a handy shoulder strap and vertical storage pockets for easy access to tools, it will provide a stylish and practical upgrade for any discerning trade or DIY person. There are lots of ways to enter the competition, simply follow this link or visit the BPC Fixings Facebook page to find out how. The competition will run from 12th April – 6th May (terms and conditions apply). Author richard@bpcfixings.comPosted on 12th April 2016 9th March 2017 Categories NewsLeave a comment on Win a £50 Stanley Tool Bag with BPC Fixings! BPC Building Products has launched a new range of PowaPost® Dual Coated Connectors including angle brackets, joist hangers and universal connector plates suitable for many garden DIY and landscaping applications. The new product range is manufactured from galvanised mild steel and powder coated after fabrication for superior dual coated corrosion protection. The components are a perfect addition to the established PowaPost® Post Anchor range and are designed to achieve both superior performance and a more aesthetically pleasing appearance. The coated surface can also be more easily painted in the colour of your choice than the traditional galvanised finish, to match both contemporary and traditional garden designs, and for many furniture upcycling and restoration projects both indoors and outdoors.